Authors: DUBROVSKAYA T.V., SOWIŃSKA A. The study is part of the project aimed at revealing the mechanisms of discursive construction of international relations (IR). It examines the functions of the categories ‘strength’ and ‘weakness’ in discursive representations of states as political actors. The research draws on assumptions of social constructionism and CDA. The data include recent speeches by Russian and Polish Ministers of Foreign Affairs. The paper argues that the opposition ‘strength vs. weakness’ is essential in the construction of IR in discourse. We focus on how nation states and their qualities are represented in foreign policy discourse, and which of these qualities conceptualise the categories of strength and weakness. We demonstrate that the two categories constitute a relational pair; however, the category of strength is expressed more explicitly than that of ‘weakness’, and the axiological charge of ‘strength’ changes depending on the actor that it represents. An array of linguistic tools is employed in constructing the opposition, and, consequentially, the IR between the political actors. The paper suggests that social actors and their qualities can be viewed as social categories that are perpetually constructed and re-constructed in discourse. The research develops the theory of discourse and demonstrates how discourse analysis contributes to the study of social practices and helps interpret current social phenomena. construction, foreign policy discourse, international relations, Polish, Russian, strength, weakness. 1. Introduction This paper is part of a bigger project aimed at revealing the mechanisms of the discursive construction of Russia’s international relations in different types of discourse: political, legal and mass media. The project is based on the assumption that each institutional sphere is a repository of its own specific ways of discursive construction, and this assumption is being subjected to testing with respect to political, legal and mass media domains. The present part of the study focuses on foreign policy practices. The issue of constructing international relations that is addressed in the project in general and in this paper in particular has two crucial aspects: social and linguistic. In social terms, the study draws on the awareness of Russia’s challenging position in the world arena, where the country makes efforts to protect its own interests and demonstrate influence. Russia’s political isolation at interstate level as well as negative stereotypes about Russia, which are maintained and reinforced by Western society, including Poland (Бирюков 2015; Офицеров-Бельский 2014), make the study topical. Considering the linguistic aspect, this paper is seeking to contribute to the understanding of how a system of international relations is built through the interpretation of facts in foreign policy discourse, in particular through ascribing the qualities of being strong or weak to collective political actors, that is countries. Political discourse is a popular object of inquiry that has come under scrutiny in a vast body of critical scholarship, and the task to present its comprehensive review would be too ambitious a goal. Distinguishing a few variations of political discourse in the media, Lauerbach and Fetzer (2007: 15) indicate among the rest “discourse of politicians or other political agents like spokespersons”, which in their opinion includes “speeches on important issues and occasions, e.g. in parliamentary debates, at party conferences, summit meetings, etc., also statements, press conferences and the like”. Some of the genres of political discourse listed above, specifically speeches, statements and press conferences, compose the data we analyse further in this study. The functions of political discourse ensue from the functions of politics, which, according to Chilton (2004: 3), has an ambiguous character: “On the one hand, politics is viewed as a struggle for power, between those who seek to assert and maintain their power and those who seek to resist it <...> On the other hand, politics is viewed as cooperation, as the practices and institutions that a society has for resolving clashes of interest over money, influence, liberty, and the like”. Thus, political discourse is aimed at gaining and maintaining power, while, at the same time, sustaining an appropriate level of social harmony. These characteristics of political discourse are equally valid for its specific modification - foreign policy discourse. We take foreign policy discourse to be part of foreign policy practices, i.e. practices aimed at maintaining power, protecting national interests and building interstate relations in the international arena. Recently, the constructivist discourse-analytical approach to international relations (IR) has been gaining popularity. Holzscheiter (2013) proves the importance of the concept ‘discourse’ for insightful consideration of international relations and points to a shift of the paradigm from critical theory and poststructuralism towards constructionist theories. Dubrovskaya and Kozhemyakin (2017) offer a review of scholarship that conceptualises IR through discursive categories. Thematically, this scholarship covers theoretical aspects of discourse approach to IR (Husar 2016), various discursive constructs (e.g. nation, national identity, migration, intervention and sovereignty, wars and conflicts, friendship, emotions of political actors, etc.) (Epstein 2011; López Maestre 2007; Malmvig 2006; Koschut, Oelsner 2014 inter alios). The discursive mechanisms that have been explored in terms of their constructing capacity include pragmatic strategies, discourse patterns, argumentation schemes, lexical, syntactic and stylistic means, including metaphors and metonymies (Catalano and Waugh 2013; Kazharsky 2013; Barbato 2016; Husar 2016; Sowińska and Dubrovskaya 2012b inter alios). While in modern Western literature the discourse-analytical approach to IR is well established, similar research in Russia and Poland is limited. Constructivist methodology “is not yet widespread in the Russian political thought, and in research on international relations and foreign policy” (Medvedev 2008: 10). The present paper aims to contribute to the body of scholarship on IR as they are viewed from the discourse-analytical perspective, specifically in terms of oppositions that are constructed between nation states and the qualities of strength and weakness ascribed to them in foreign policy discourse. 2. Methodologies of opposition studies Strength and weakness can be viewed as basic, teleonomic qualities that underlie the existence of any living being, because its existence itself depends on whether or not a living being is physically strong enough to survive. Scholars in human nature claim that “variation in aggression has evolutionary roots” (Cashdan and Downes 2012: 2) and also point to large-scale human sociality, “in which individuals compete against other individuals but also form alliances with them competing other groups” (Cashdan and Downes 2012: 3). The same applies to social and political bodies: they reveal their strengths and weaknesses in various social contexts and also constitute groups that fight other groups for survival. For this reason, the social category of aggression, which is based on demonstrating destructive strength, gains attention and is also discussed in terms of communication (Волкова, Панченко, 2016; Озюменко, 2017). Unlike most research in CDA that draws on the concept of power with the aim “to demonstrate the significance of language in the social relations of power” (Bloor and Bloor 2007: 12), we use the concept of strength as a point of reference. The importance of the concept, especially in Putin’s epoch, is indicated in Russian research on political discourse (Вражнова, Дубровская, Ермакова, Харламова 2009) and receives possible explanations that can be found in Russian history. These explorations include the need for strong state power to keep together vast lands and numerous peoples, and a typically Russian subordinate position of an individual’s life as compared to the interest of the state (Сикевич 1996). This demonstrates the strength of the state. Strength is different from leadership in that strength for Russia originally implied the ability to survive on vast territories with unfavourable climatic conditions - while the potential to lead others was of less importance. The Russian lexical unit ‘sila’ (сила/strength) has a meaning different from ‘vlast’ (власть/power), when it is used to describe social life. While the latter presupposes a particular social order and legal rights that make it possible for a social actor to influence others (e.g. legislative power, executive power, judicial power), the former is related to inner resources, the physical and mental capacities of people or social actors as well as their ability to endure difficulties. On the other hand, the Polish lexical unit ‘siła’ (strength) means both physical and spiritual energy which makes things happen, or the ability to exert influence. The Russian lexical unit ‘vlast’ (власть/power) does not form semantic oppositions with any other lexical unit; Russian dictionaries of antonyms do not offer any options. ‘Sila’ (сила/strength), on the contrary, constitutes a stable semantic opposition to the unit ‘slabost’ (слабость/ weakness), and it is this teleonomic opposition projected onto international relations that we focus on in the paper. To the best of our knowledge, the discursive construction of the opposition ‘strength vs. weakness’ has not been studied in foreign policy discourse, while at the same time these concepts are extensively used to characterise social actors, for instance in the scholarship on Russian-European international relations (see e.g. Gerrits 2008). To develop an overall picture, interconnected discourses will be explored on both sides of Russian-Polish international relations, as was done previously with media discourse (Sowińska and Dubrovskaya 2012a; Sowińska and Dubrovskaya 2012b). In language studies, research of the opposition ‘strength vs. weakness’ - or ‘strong vs. weak’ - is scarce; yet, a few methodological approaches can be identified with respect to opposition studies in general. The lexical semantic approach, which dominates the study of oppositions, is practised by Cruse (2004: 164), who includes the opposition ‘strong vs. weak’ on the list of polar antonyms and provides the main diagnostic features for this type of opposites, e.g. being incompatibles, being interpreted in relation to some reference value, etc. The reservation about the lexical semantic approach expressed by Murphy (2006: 316) calls attention to the pragmatic aspect of opposition and poses the questions “What counts as opposition? 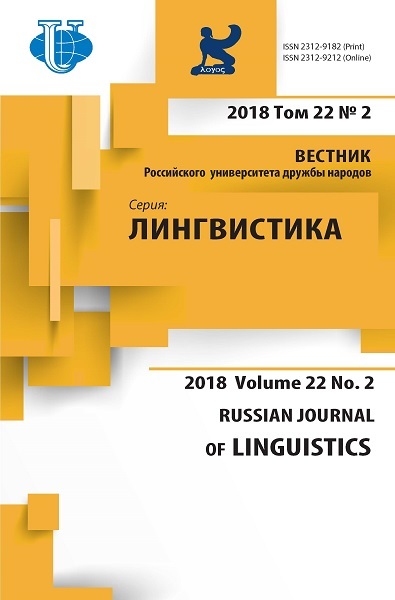 Is antonymic opposition a semantic or pragmatic issue?” Attempts to expand the field of lexical semantics into pragmatics have been performed by Savelyeva (Савельева 2011), who focuses on the phraseological units that embody the semantic opposition ‘strength vs. weakness’ in Russian print media. Savelyeva isolates the phraseological units and purports to discover their pragmatic potential in newspaper texts. In fact, however, the scholar draws on dictionary definitions and conducts a semantic component analysis of the phraseological units rather than revealing actual pragmatic functions of utterances with these phraseological units. More successful endeavours to leave the purely lexical domain and explore the functional value of members of semantic oppositions have been performed within the study of concepts. Russian representatives of cognitive studies define the concept as a mental entity, a multi-dimensional, meaningful structure that has axiological and conceptual aspects, which are verbalised through an array of linguistic means, which illustrate, specify or develop this concept (Карасик 2002: 129-130). In this interpretation the concept is not connected with a particular lexical unit but possesses axiological duplicity that is the capability of changing names depending on the ideological views and goals of the speaker (cf. Воркачев 2012: 1-2). Acknowledgement of the axiological charge of language structures, including discursive oppositions, is most evident in CDA. Discourse analysts posit that not only concepts can change names, but that the same names can acquire conflicting axiological connotations that depend on pragmatic factors (Sowińska 2015). This assumption underlies explorations of the axiologically charged opposition ‘us vs. them’. Van Dijk (2006: 734) points to four strategic moves in any ideological communication: (1) Emphasize Our good things (2) Emphasize Their bad things (3) De-emphasize Our bad things (4) De-emphasize Their good things. These moves are part of the broader contextual strategies of positive self-presentation and negative other-presentation. For example, positive values, such as democracy or truth will be evoked by Us as a basis for the legitimation of the in-group’s goals and activities. Linguistic resources and metaphorical models that construct the opposition ‘us vs. them’ and facilitate particular evaluative attitudes are identified in political and media discourses (Кишина 2011; Алиева 2010). Special attention to syntactic realisations of textually-constructed oppositions is paid by Davies (2008: 97-98), who argues that oppositions can be instantiated as longer stretches of discourse: whole phrases and clauses, which do not appear in lexical authorities. Davies also highlights the ideological function of such textually-constructed oppositions, and this claim is of particular importance because what we are interested in is not only how the opposition ‘strength vs. weakness’ is constructed linguistically, but also how it contributes to discursive construction of Russian-Polish international relations in ideologically-laden foreign policy discourse. 3. Methodology and data The study is based on a number of methodological assumptions. More generally, the study draws on the theory of social constructionism (Berger and Luckmann 1966), which allows for viewing nations as ‘imaginary communities’ (Anderson 1991). Anderson demonstrates the virtual character of the nation, which exists not strictly in life but in the minds of those who affiliate themselves with the nation. Similar views can be found in critical discourse studies, whose representatives posit that although members of a national community do not know one another, they experience a sense of belonging to an integrated community due to a number of cultural factors such as having the same mass media, common history and collective memory (Cillia, Reisigl, Wodak 1999: 154). Consequently, international relations are viewed in this paper as a phenomenon that is constructed and re-constructed discursively in various domains, including foreign policy. Furthermore, we also base our research on the claim that is central to CDA. It is a premise that language is a social practice, which, in turn, implies a two-way (dialectical) relationship between language and social life (Fairclough 2004: 2-3). Through the observation of the corpora and semantic analysis, we discover fragments that contain ideas of strength and weakness. It is important to emphasise that we are not looking for particular lexemes with the semantics of strength and weakness, because these ideas do not necessarily have to be expressed by such lexemes. Instead, contextual analysis is applied, which allows us to reveal units on various linguistic levels (lexical, grammatical, stylistic) as well as argumentation patterns that contribute to the construction of strength and weakness as complex semantic categories. As such, strength and weakness can be dissected in order to discover smaller, elemental constituents of meaning within them. These micro-constituents are not equal to sememes as they are not attached to particular linguistic units. They emerge in contexts, both linguistic and pragmatic, and are instantiated through an array of explicit and implicit discursive mechanisms. Because we practise a bottom-up approach and draw on the empirical material rather than testing a hypothetical claim, the list of the semantic micro-constituents is not predetermined in advance. In our analysis, we focus on the construction of Russia, Poland and the EU as actors in international relations and explore the qualities ascribed to them. More specifically, we ask the following research questions: 1. How are social actors (Russia, Poland and the EU) referred to and what qualities are ascribed to them? Which of these qualities conceptualise ‘strength’ and which ‘weakness’? What are principal lexical and grammatical constituents of the categories of ‘strength’ and ‘weakness’ based on linguistic and pragmatic contexts? 2. What is the axiological status of the referents and qualities assigned to our social actors? Do these social actors always stand in opposition? 3. On a more general level, what are the parallelisms and differences in the construction of ‘strength’ and ‘weakness’ in Russian and Polish foreign policy discourse? 4. How does the opposition ‘strength vs. weakness’ contribute to the discursive construction of international relations? Through the labelling of social actors it is possible to explore the discursive association and disassociation of groups, i.e. processes that are inherent in foreign policy discourse. References are linguistically realised through nominal phrases, whereas predications are realised through their predicates. However, it should be remembered that references can also serve a predicational function since a referential identification already involves deprecatory or appreciative labelling of social actors (Reisigl and Wodak 2001: 45). Qualities may also be ascribed to social actors implicitly through presuppositions and implicatures. In a capsule, we explore the categories of strength and weakness drawing on discourse analytical approach: attention is paid not only to lexical items and other linguistic means that conceptualise the semantics of strength and weakness, but also to the axiological statuses of the categories that they acquire in various linguistic and pragmatic contexts. The data contain 6 Russian and 5 Polish texts. The Russian data include the texts authored by the Russian Foreign Minister Sergey Lavrov, which were retrieved from the official website of the Ministry of Foreign Affairs of the Russian Federation (www.mid.ru). Chronologically, all texts cover a limited period of the year 2014. The texts were selected from a vast electronic archive of the Ministry based on their thematic relevance and importance for foreign policy. Thematically, all texts in this or that way pertain to Russian-Polish relations and accommodate mentions of Poland or the European Union in various contexts. One of the interviews includes Sergey Lavrov’s comment on Radosław Sikorski’s statement about Russia. In terms of importance, in one of his speeches Lavrov summarises the results of Russian diplomatic activity performed in 2013; therefore, it can be viewed as providing postulates of Russia’s foreign policy. The newspaper article, which is authored by the Russian Foreign Minister, is dedicated to a special topic of Russian-EU relations; the public speeches were pronounced at international and home meetings on various occasions. The Polish corpus includes texts by two Polish Foreign Ministers delivered in 2014: three speeches by Radosław Sikorski (including the most important address on the goals of Polish foreign policy in 2014, his farewell speech and the article published in the daily ‘Rzeczpospolita’) and two speeches by Jarosław Schetyna (including the speech addressing the priorities of Polish foreign policy in 2014 and 2015, and his speech delivered at the Polish Institute of International Affairs). All official speeches that were published on the Polish Ministry of Foreign Affairs website in 2014 were examined, but only those that were thematically relevant or made references to Russia were taken into consideration. The speeches were retrieved from the official website of the Polish Ministry of Foreign Affairs (www.msz.gov.pl). Quotations from the speeches of the Russian and Polish Ministers of Foreign Affairs are offered in official English translations that are provided on the ministries’ websites. 4. Background to Russian-Polish international relations Russian-Polish relations have had a long history through many centuries. Since this history was full of contradictions, it has been an object of scrutiny in many studies into international relations, history, sociology and culture. For instance, one of the most recent studies presents a comparative Russian-Polish perspective on difficult issues in the two countries’ relations (Белые пятна... 2010). Summarising all scholarship on the issue is hardly feasible; therefore, we will focus only on some major moments in modern Russian-Polish relations that are most relevant to the understanding of strength and weakness as qualities of political actors. Throughout the second half of the 20th century, the issue ‘strength vs. weakness’ dominated Soviet-Polish - and then Russian-Polish - relations, in which Poland played the role of a weaker partner, while at the same time seeking independence from Soviet influence. On the Russian side, this influence was considered a logical outcome of the liberation of Poland from fascism by the Red Army. However, this perception was not actualised in Poland, where accent was placed not on the liberation but on Poland’s following dependence on the Soviet Union (Анипкин, Григорьев 2014: 61). The 1990s were marked by considerable geopolitical changes, and Poland succeeded both in escaping the grip of an ‘elder brother’ (Александров-Деркаченко, Ауров 2012) and quickly finding its place in the political, military and economic spheres of the West, while Russia was hit hard by the economic crisis and “Russia’s international weight and status dropped sharply and weakened” (Петрова 2015: 150). Poland’s membership in the EU and NATO did not end its apprehensive attitude towards Russia, and in 2008 an agreement was reached between Poland and the U.S. about hosting U.S. anti-ballistic missile (ABM) systems on the territory of Poland (Hynek and Stritecky 2010). The Polish government legitimised the need for the ABM system through promotion of the alleged Russian threat to Poland. Although Poland’s agreement with the U.S. was not put into effect, it revealed once again the continuing tension in Russian-Polish relations. From the sociological study performed by Russian scholars in Łodz in 2012-2013, it transpires that the Russians are still viewed as a threat because of their alleged wish to restore control over former socialist countries and to spread their imperialistic influence indiscriminately (Анипкин, Григорьев 2014: 58-60). The newest events that constitute the political context for our data analysis include the Ukrainian crisis of 2013-2015 and the resulting regaining of Crimea by the Russian Federation. The return of Crimea, referred to as the annexation in the West, was perceived as demonstration of Russia’s military and political strength and provoked much debate in the international arena as to its legitimacy, while Russia indicated the All-Crimean referendum as a legitimising factor for Russian involvement (Гаврилов, Гаврилов, Щербинин 2015: 91). Throughout 2014, the Crimea issue remained highly rotated in the media and political discourse both in Russia and Poland, and much of our data contain references to it, including those that ascribe the qualities of being strong or weak to social actors. 5. Analysis 5.1. Russia as a strong actor In the Russian corpus, the Russian Minister of the Foreign Affairs unambiguously and consistently represents Russia as a strong actor, and Russia’s strength embraces a number of constituents, which can be classified into three more general groups depending on the pragmatic factor. These groups include: (1) inherent qualities of the actor; (2) ways of behaviour towards others; and (3) consequences of the actor’s activities. The semantic constituents of strength within the groups are contextually embedded and only partially coincide directly with semantic components of the lexeme ‘strength’. Inherent qualities of Russia that surface in its representation as a strong actor encompass being active and energetic; having independent views and values; being intellectual; having technologies, natural resources and human resources; having reliable defence, and a large size. Of these qualities, only being active and energetic can be interpreted as related directly to the semantics of strength, while other qualities contribute to the concept of strength in context: (1) It seems that our country has come into the firing line as the most active expresser of an independent point of view in the modern world, which considers independent policy to be its natural right. (Lavrov 04.06.2014) In example (1) the superlative form ‘the most active’ is linked with the idea of holding independent views, which are expressed by Russia despite the risk of severe criticism. The verbal noun ‘expresser’ actualizes agency and activation, which “occurs when social actors are represented as the active, dynamic forces in an activity” (Van Leeuwen 2003: 43). Spiritual strength is also constructed through the reference to Russia’s intellectual potential, which is marked as solid, the adjective adding to the idea of importance and strength. Russia’s strength is also emphasised predicatively (used in full scope): (2) We expect that the solid intellectual potential of the RIAC (Russian International Affairs Council) will be used in full scope in the interests of prompt re-evaluation of events and the formulation of fresh ideas and well-considered propositions, which should ensure the efficiency and effectiveness of the Russian foreign policy’s course. (Lavrov 04.06.2014) As can be seen from the example, the concept of strength is constructed by the totality of linguistic means in a sentence, including combinations of lexemes and a syntactic structure. While the constituents in group (1) (inherent qualities of the actor) are mostly neutral and manifest their positive connotations in contexts, many semantic constituents in groups (2) and (3) have apparent positive connotations, as they mostly represent socially approved ways of behaviour. Characteristics that represent ways of behaviour towards others include having allies, being helpful, leading other actors, exercising control over others, behaving in a non-aggressive manner, and following and protecting legal principles. The ability to protect those in need of help implies strength, as does participation in international activities. The indicators of positive axiological charge include lexical units with positive semantics (protection, contribution, humanitarian cooperation, dialogue): (3) Our unconditional priorities include protection of the rights of Russian nationals and compatriots abroad, contribution to the promotion of our business, extension of international humanitarian and cultural cooperation, deepening of the intercivilisational and intersectarian dialogue, and information supplements to international activities. (Lavrov 21.01.2014) Some semantic constituents acquire an axiological charge in specific contexts. For instance, leading other actors is represented as positive because it is associated with performing a positively evaluated activity (the development of principles of peace and security): (4) Russia presides over the working group on the development of principles of peace and security in North East Asia (NEA). (Lavrov 21.01.2014) A certain contradiction is observed between recurrent claims that Russia does not impose its will on other European actors (5), and occasional statements about performing control in the modern world (6): (5) We have never attempted to impose something on anybody. We understand that integration can be strong only when it is based on mutual interests. (Lavrov 13.02.2014) (6) We are strongly convinced that it is impossible to control the modern world without true partnership between the main centres of power. (Lavrov 04.06.2014) From example (6), it can be inferred that control over others is performed not only by Russia but also by other influential actors, which are marked as ‘the main centres of power’. Thus, responsibility for world events as well as strength is shared between a few social actors, who form partnership. Characteristics that are ascribed to Russia and indicate the consequences of its activities include being constructive, enhancing stability and democracy, and expanding presence in other regions. The achievement of such results presupposes strength of the actor, which is emphasized through the indication of agency (actively participated). If the first two characteristics have an unambiguously positive axiological charge (7), the last one receives it in context, through the reference to interaction, which presupposes mutual interest (8): (7) European history confirms, with evidence, that peace and stability in the continent was ensured in periods when Russia actively participated in European affairs, while attempts to isolate our country have always led to the activation of processes leading to sleepwalking into the disasters of world wars. (Lavrov 13.02.2014) (8) ...the building up of interaction along other vectors, primarily in the Asia-Pacific region. (Lavrov 04.06.2014) In the Polish corpus, the concept of strength surfaces in the context of the Crimea issue. In this context Russia is essentially constructed as an inherently unpredictable great power, which is unwilling to cooperate with others, e.g., it rejects the Eastern Partnership. The representation of Russia as a recipient of offers also implies that Russia is a powerful social actor that others should count with; it has the right to choose and make independent decisions. For instance, ensuring stability in Ukraine depends on “the Russian state and so-called separatists” (Schetyna 10.12.2014). Thus, the Russian and Polish data reveal parallelism in that having independent views and making independent decisions as semantic constituents of Russian strength are observed in both corpora. In terms of representing Russia’s behaviour towards others, the actor is constructed as threatening, defiant and aggressive. First of all, Russia attacks its neighbour without a declaration of war, so it gives primacy to force in developing international relations. Exercising control as a semantic constituent of Russia’s strength (used force, actively) has an apparent negative axiological charge, which emerges clearly in the lexicon (to annex, involved in the conflict): (9) Russia has used military force to annex a part of its neighbour’s territory, and is actively involved in the conflict in eastern Ukraine. (Schetyna 10.12.2014) Furthermore, Russia is presented as not observing international laws and calling into question the post-Cold War order in Europe. The verb ‘violate’ implies the destructive character of Russia’s strength: (10) Russian operations in Ukraine evidently violate the principles of peaceful coexistence of nations. The use of armed forces (...) is legally unacceptable and politically dangerous. (Sikorski 08.05.2014) The consequences of Russia’s actions are also evaluated negatively. These are insecurity and destabilization of the region as well as the risk of the division of Europe into spheres of influence. Polish representations of Russia in the context of the Crimea issue suggest expansion, but unlike representations in the Russian corpus where expansion of influence is emphasised, the Polish ministers focus on territorial expansion. Apart from these negative representations, Russia is also constructed in a positive and neutral way: as a strategic economic partner and Poland’s big neighbour in the East. It is stressed that Russia is not excluded from but is seen as part of Europe. The speaker recalls the metaphor of Europe breathing with two lungs: the West and the East, which clearly points to the necessity of Russia’s inclusion in the European community: (11) As recently as last year, standing here I took the liberty of echoing St. John Paul the Great’s dream of Europe breathing with two lungs, the Western and the Eastern. It was not the West that spurned Russia. It was Russia that chose to return to the path of an outdated development model. (Sikorski 08.05.2014) The equivocalness of the quote, however, cannot be ignored. The reference to Russia’s outdated development model can be interpreted as evidence of weakness. 5.2. Poland and the EU as strong actors In the Russian corpus, the concept of strength also reveals itself in contexts that represent Poland. Poland is acknowledged to be large (a large European country - Lavrov 14.06.2014), but this statement should be considered in a more general linguistic context. In other statements, the Russian Foreign Minister uses more impressive attributes - such as the largest or huge - to construct Russia’s grandeur and to present it as an actor that has no contenders in this respect. Other characteristics that construct Poland’s strength in the Russian corpus are its independence and capacity to make free choice. In the context of the discussion about Ukraine, Lavrov points to “the path taken by Poland” (Lavrov 13.02.2014) towards the EU, which Ukraine now wants to follow. The phrasing implies that choosing the future was a deliberate step made by the actor, which sets a successful example for other international actors. Despite the contentious context of the debate around Ukraine, independence as part of Poland’s strength is charged positively. Involvement in international affairs and influence on other actors is yet another semantic constituent of strength ascribed to Poland. Again, the mention of Poland’s influence appears in relation to the Ukrainian issue, which the actor is engaged with: (12) On the 21 February (after almost three months of riots and outrages) an agreement was reached between the President of Ukraine and the opposition, which was also signed by the German, Polish and French foreign ministers. (Lavrov 3.03.2014) Example (12) can also be interpreted as a fragment that represents Poland as an actor having allies (Germany and France), which adds to the strength of the country. This instance of discourse is neutral in terms of its axiological charge, but many other contexts that represent the collective actors - the EU or NATO, of which Poland is a member - acquire a negative axiological charge. Having allies obtains a negative charge when used to construct the strength of the EU. The relations between the EU and the U.S., its ally, are represented not only as deprived of parity, with Europe being subservient, but also as a threat to Russia’s interest: (13) Lately, it has become especially evident that the choice was made in favour of activation of actions to “kick Russia back” - the United States seems to do this more consciously, while the EU does it out of solidarity with their US partners - and in the hope that Russia will have to “swallow” another wave of attack on its interests. (Lavrov 04.06.2014) The EU, in turn, demonstrates power and puts pressure on Russia’s neighbours, which “must fulfil all the orders of Brussels” (Lavrov 13.02.2014). Abundant examples illustrate other negatively charged qualities that constitute the strength of the West, such as the imposition of values, performance of control and expansion of geopolitical space in spite of Russia’s views: (14) ...Our Western partners have promoted their own agenda, ignoring Russia’s interests in many points, expanded NATO, and generally attempted to move the geopolitical space under their control directly to the Russian borders. (Lavrov 04.06.2014) Although Poland is not given a direct reference in example (14), it is well known that Poland is one of the youngest and the closest to Russia NATO representatives, whose membership “expanded NATO <...> directly to the Russian borders”. At the same time, there are constructions of Europe as a strong actor when contexts indicate a stance of solidarity between Russia and Europe, as is shown in the following example. In these cases, their partnership is represented as positively charged, constructive and enhancing strength (tremendous partnership potential, strong impulse to the development, significantly reinforce positions, ensure stable supplies): (15) The partnership potential between Russia and the European Union is tremendous. Almost 650 million people live in our countries in a territory covering 21 million sq.km. We share complementarity and interdependency of economies and common cultural roots. Russia satisfies one third of the EU's oil and natural gas needs, almost one fourth of its needs for coal and petroleum products. There is no other partner like this, who would be able to ensure stable supplies in the necessary amounts. If we united our technological resources and human potential, this would give a strong impulse to the development of Russia and the EU, and significantly reinforce their positions in today's highly competitive world. (Lavrov 13.02.2014) It should be noted, however, that this and similar excerpts that construct positive strength of Europe lack any comments about Poland as a separate actor. In the Polish corpus, Poland is constructed as a strong and independent actor, but its strength is based on different qualities: not on military force as in the case of Russia, but on its own experience and self-confidence that it acquired in the process of successful historical transformations: (16) The outcome of the Polish transformation gives us the right to wish our Eastern neighbours similar changes. Our experience makes us confident that these countries will be strong and independent once they go through a similar process of reconstruction. (Sikorski 08.05.2014) The last sentence in the sequence implies that Poland is already strong since it underwent the process. Poland is constructed as a social actor, who has become more mature, responsible and influential within the EU than it used to be (noticeably advanced, taking more responsibility): (17) Poland has noticeably advanced in the European Union’s political hierarchy - from a country which looked at the Union from the perspective of financial security only, to becoming a state that is taking on increasingly more responsibility for the future of the entire Union. (Sikorski 08.05.2014) Transformations are represented as constructive and beneficial for Poland and its national interests: (18) As the minister for European affairs, I can claim with full responsibility that we have been skillfully taking advantage of our ten years’ presence in the Union to pursue our strategic national interests. (Sikorski 08.05.2014) 5.3. Who is weak? The concept of weakness is not as saliently expressed in the data as the concept of strength. Apparently, in international relations - and corresponding discourses - political actors focus on strong allies and strong opponents, while weaker actors fall out of their circle of interest. The Russian corpus does not contain any references to Russia as a weak actor, but the Polish data reveal instances that are indicative of understanding that Poland is not strong enough to influence other actors, in particular Russia: (19) But when Russia annexes its neighbours’ territories and threatens them with the use of force, we quickly draw conclusions. I will go further and say that we will be the first to welcome Russia’s decision to abandon the path of aggression. But we are not arrogant enough to believe that if a Polish politician angrily stamps his foot or resorts to flowery rhetoric, Russia will change. (Sikorski 08.05.2014) In this context, however, weakness does not bear a negative axiological charge because it is opposed to Russia’s strength that is aggressive and dangerous (annexes, threatens). At the same time, weakness also characterises Russia, which is represented in the Polish data as an actor who is inextricably linked with its Soviet past and the failures of the Soviet Union: (20) ...the Russian state seems to harbour its own vision of the world. In this vision, the collapse of the Soviet Union was a catastrophe and a humiliation, and the choice of former Soviet republics to become independent nations was an historical injustice. It seems to me that Russia has yet to fully grasp what a defeat Sovietism was for the world and for Russia. Russia is trying to play extra time because it has failed to learn the lesson of its own totalitarian past. (Sikorski 08.05.2014) Thus, Russia is associated with the Soviet Union, whose weakness is constructed mostly lexically (collapse, catastrophe, humiliation, defeat). In particular contexts, the indication of an opponent’s weakness creates an opposition, thus discursively enhancing the strength of the social actor who the speaker represents. In the Polish data, the opposition between the strong EU and weak Russia is constructed in the context of discussing mutual economic embargoes. The EU is represented as an actor who is to win due to its economic potency as opposed to Russia, who is economically weak: (21) ...In the centennial year of the outbreak of the First World War Moscow challenges us to an ideological confrontation. A confrontation, I should add, that Russia is in no position to win. In terms of economic potential, the European Union leads eight to one, and when you add the US and Canada, the ratio is eighteen to one. (Sikorski 08.05.2014) In example (21), the opposition between strength and weakness is made manifest by two contrasting predications used to characterise the opponents (in no position to win vs. leads), and then a quantitative criterion is applied to measure the relative economic strength (eighteen to one). Thus, lexical and syntactic techniques along with the semantic strategy of comparison are employed to construct the opposition. In the Russian data, examples of explicit indications of the opponent’s weakness are not pervasive but existent. For instance, Lavrov points out “the recent trend of reduction of the weight of the West in the global balance of forces” (Lavrov 04.06.2014). The lexical units ‘strength’ and ‘weight’ contribute to the category of strength; however, the noun ‘reduction’ adds to the idea of weakness since it brings to the foreground the claim that the West is losing its strength. Another technique that constructs the category of weakness in Lavrov’s speeches involves recurrent assertive statements about changing geopolitical patterns and growing multi-polarity in the world balance. The buzzwords include ‘polycentric’ (We are observing the process of formation of a new polycentric international system. - Lavrov 21.01.2014) and ‘multipolarity’ (...we have been seeing a clearer contradiction between the strengthening multipolarity and the aspirations of the United States and the historical West to keep their usual domineering positions. - Lavrov 04.06.2014). Both of them presuppose a different distribution of influence in the world, some actors becoming stronger, others becoming weaker. The ongoing changes in the distribution of strength around the globe are accentuated by pointing to the emergence of new strong actors: (22) ...Today’s Europe is not a centre of global economics and politics anymore and it should take into account the rise of other centres of power and influence. (Lavrov 13.02.2014) The context of the discussion of the relations between Russia and the EU allows for considering Russia as one of these centres of power, with the implication that Europe is weakening, which accords with the explicit claim about Europe losing influence. 6. Conclusion We will draw conclusions based on the research questions posed in section 3 of the paper. It can be inferred from the analysis that the categories of ‘strength’ and ‘weakness’ play an important role in constructing social actors and relations between them in foreign policy discourse. Strength is not only explicitly referred to as a necessary quality of countries in international relations, but it is also constructed discursively in a number of less salient ways. Weakness is constructed as a related category: pointing to a decrease in strength of one social actor triggers representations of its weakness and, thus, enhances the strength of the speaker. The opposition ‘strength vs. weakness’ seems to be no less important in constructing international relations than the opposition ‘us vs. them’. Its essential character is predetermined by the functions of foreign policy discourse, which aims at gaining power by social actors in the international arena, on the one hand, and maintaining a certain level of interstate harmony, on the other. Thus, ascribing various positively charged constituents of strength in self-representations constructs a strong social actor, which is able to protect national interests. In the Russian and Polish self-representations as strong actors, strength has an inherent positive axiological charge, while it is negatively charged in most instances of the representations of opponents. For the sake of international harmony, however, positively charged strength is admitted to characterise both individual actors and partnerships between rivaling social actors. Russia and Poland construct each other’s strength in neutral or positive terms too. In the Russian discourse, Poland’s involvement in international affairs and having allies are interpreted without any axiological stance. Similarly, in the Polish corpora the constructions portray Russia as a strong economic partner and Poland’s big neighbour. Also, a group that is constructed with the opponent becomes stronger, and strength acquires positive connotations. Both the group ‘Russia and Europe’ in Russian discourse and the group ‘Poland and Russia’ in Polish discourse receive a positive evaluation from speakers. The category of strength receives a more salient expression and is developed in more detail than the category of weakness in both Russian and Polish corpora. The greater importance of indications of strength in foreign policy discourse can be justified by its function to protect national interests and the necessity to demonstrate the actor’s ability to survive in the international arena. The complexity of the category of strength emerges in three groups of qualities that are ascribed to construct social actors as strong agents. These groups include: (1) inherent qualities of the actor, (2) ways of behaviour towards others, and (3) consequences of the actor’s activities. The sets of the qualities that together conceptualise strength reveal a considerable parallelism in Russian and Polish corpora. In both corpora, the semantic constituents of strength within the groups are contextually embedded and coincide with the semantic components of the lexical unit ‘strength’ only to a limited extent. The category of strength and its axiological charge are constructed by an array of linguistic techniques. Lexical units, including nouns, verbs, adjectives, and phraseology, with the semantics of being resistant, efficient and constructive are employed to construct strong actors that bear a positive axiological charge. Negative axiological charge of strong actors is constructed through military vocabulary (mostly in Polish discourse about Russia), the vocabulary of destruction, violence and threat. Linguistic resources are not reduced to lexical units only. Morphological and syntactic forms (e.g. degrees of comparison of adjectives, listing a number of qualities) are also involved. The importance of all these linguistic resources proves valid for both Russian and Polish data. Strength and weakness are not symmetrical discursive constructs. While strength is expressed more saliently, weakness is more implicit and constructed as a related category in a less direct way against the background of strength. The opposition is built through the semantic strategy of comparison and the indication of redistributing strength among the actors on the globe. The axiological charge of weakness is not explicit; its negative character can be inferred from the striving of social actors to prove their strength. The lack of symmetry between strength and weakness does not result from the semantic asymmetry of specific lexical units that represent the concepts. Rather, it is the consequence of complicated pragmatic interrelations between the actors and their intentions expressed in foreign policy discourse as well as the usage of multiple and heterogeneous linguistic resources. Taken in a wider methodological perspective of social theory, the present study illustrates the role of discourse practices for the social construction of international relations as well as the flexibility and instability of social actors and their qualities, which are constantly constructed and re-constructed in discursive processes. Our observations resonate with the claim of Wendt: “Agents and structures are themselves processes, in other words, on-going ‘accomplishments of practice’” (Wendt 1999: 313). The avenues of prospective research may lie towards the exploration of diachronic changes in the semantic composition of strength and weakness across time and political cultures. Anderson, B. (1991). Imagined Communities: Reflections on the Origin and Spread of Nationalism. London, N.Y.: Verso. Barbato, M. (2016). What kind of person is the state? The pilgrim as a processual metaphor beyond the Leviathan. Journal of International Relations and Development, 19 (4), 558—582. Berger, P. L., & Luckmann, T. (1966). The Social Construction of Reality. London: Penguin Books. Bloor, M., & and Bloor, T. (2007). The Practice of Critical Discourse Analysis. An Introduction. London: Hodder Arnold. Cashdan, E., & Downes, S.M.. (2012). Evolutionary perspectives on human aggression. Human Nature, 23 (1), 1—4. Catalano, T., & and Waugh, L.R. (2013). The ideologies behind newspaper crime reports of Latinos and Wall Street/CEOs: A critical analysis of metonymy in text and image. Critical Discourse Studies, 10 (4), 406—426. Chilton, P. (2004). Analysing Political Discourse. Theory and Practice. London and N.Y.: Routledge. Cillia, R. de, Reisigl, M., & and Wodak, R. (1999). The discursive construction of national identities. Discourse and Society, 12 (2), 149—173. Cruse, A. (2004). Meaning in Language. An Introduction to Semantics and Pragmatics. Oxford: Oxford University Press. Davies, M. (2008). Oppositions in News Discourse: the Ideological Construction of Us and Them in the British Press. Doctoral thesis, University of Huddersfield. Dubrovskaya, T., & Kozhemyakin, E. (2017). Media construction of Russia’s international relations: specific of representations. Critical Discourse Studies, 14 (1), 90—107. doi: 10.1080/17405904.2016.1196228. Epstein, C. (2011). Who speaks? Discourse, the subject and the study of identity in international politics. European Journal of International Relations, 17(2), 327—350. https://doi.org/ 10.1177/1354066109350055. Fairclough, N. (2004). Analysing Discourse: Textual Analysis for Social Research. London, N.Y.: Routledge. Gerrits, A. (ed.) (2008). The European Union and Russia and Interest in the Shaping of Relations. The Hague: Institute of International Relations Clingendael. Holzscheiter, A. (2013). Between communicative interaction and structures of signification: Discourse theory and analysis in international relations. International Studies Perspectives 15(2). 142—162. Husar, J. (2016). Framing Foreign Policy in India, Brazil and South Africa: on the like-mindedness of the IBSA states. Cham: Springer. Hynek, N., & Stritecky V. (2010). The rise and fall of the third site of ballistic missile defense. Communist and Post-Communist Studies, 43, 179—187. Kazharski, A. (2013). Eurasian regionalism as an identitary enterprise: representations of European other in Russian discourse on Eurasian integration. CEURUS EU-Russia Papers, 12, 1—28. Koschut, S., & Oelsner, A. (eds.) 2014. Friendship and International Relations. Basingstoke: Palgrave Macmillan. Lauerbach, G.E., & Fetzer A. (2007). Political discourse in the media: cross-cultural perspectives. In Fetzer, A. & and G.E. Lauerbach (eds.) Political Discourse in the Media. Amsterdam: John Benjamins, 3—28. López Maestre, M.D. (2007). Investigating language and ideology in discourse on immigration: A corpus-based critical approach. In Lottgen, U.D.S., & J.S. Sánchez (eds.) Discourse and International Relations. Bern: Peter Lang, 141—180. Malmvig, H. (2006). State sovereignty and intervention: a discourse analysis of interventionary and noninterventionary practices in Kosovo and Algeria. London: Routledge. Medvedev, S. (2008). Limits of integration: Identities and institutions in EU-Russia relations. Helsinki: Aleksanteri Institute. Murphy, M.L. (2006). Antonymy and incompatibility. In Brown, K. (ed.) Encyclopedia of Language and Linguistics. Amsterdam: Elsevier, 314—317. Reisigl, M., & Wodak, R. (2001). Discourse and Discrimination. Rhetorics of Racism and Anti-Semitism. London: Routledge. Sowińska, A. (2015). A Critical Search for Values in George W. Bush’s State of the Union Addresses. Frankfurt am Mein: Peter Lang. Sowińska, A., & Dubrovskaya, T. (2012a). Discursive construction and transformation of ‘us’ and ‘them’ categories in the newspaper coverage on the US anti-ballistic missile system: Polish versus Russian View. Discourse & Communication, 6 (4), 449—468. Sowińska, A., & Dubrovskaya, T. (2012b). Discursive strategies in the media construction of Poland, Russia and the USA in the context of the debate on the US anti-ballistic missile defense shield in Polish and Russian quality papers. In Skrzypczak, W., Fojt T., & and S. Wacewicz (eds.) Exploring Language through Contrast. Newcastle upon Tyne: Cambridge Scholars Publishing, 268—287. Van Dijk, T.A. (2006). Politics, ideology, and discourse. In Brown, K. (ed.) Encyclopedia of Language and Linguistics. Amsterdam: Elsevier, 728—740. Van Leeuwen, T. (2003). The Representation of Social Actors. In Caldas-Coulthard C.R., & M. Coulthard (eds. ), Texts and Practices: Readings in Critical Discourse Analysis, 32—70. London: Routledge. Lavrov 21.01.2014 — Speech by the Russian Foreign Minister Sergey Lavrov and his answers to questions from the mass media during the press conference summarising the results of the activities of Russian diplomacy, Moscow. Available from: http://en.mid.ru/en/web/guest/foreign_ policy/news/-/asset_publisher/cKNonkJE02Bw/content/id/79890 [Accessed: 1st June 2017]. Lavrov 13.02.2014 — Article by the Russian Foreign Minister, Sergey Lavrov, “Russia-EU: Time to Decide” published in the Kommersant newspaper. Available from: http://en.mid.ru/en/web/ guest/foreign_policy/news/-/asset_publisher/cKNonkJE02Bw/content/id/76622 [Accessed: 1st June 2017]. Lavrov 03.03.2014 — Speech by the Russian Foreign Minister, Sergey Lavrov, during the high-level segment of the 25th session of the United Nations Human Rights Council, Geneva. Available from: http://en.mid.ru/en/web/guest/foreign_policy/news/-/asset_publisher/cKNonkJE02Bw/ content/id/72642 [Accessed: 1st June 2017]. Lavrov 23.05.2014 — Speech by the Russian Foreign Minister Sergey Lavrov at the III Moscow International Security Conference, Moscow. Available from: http://en.mid.ru/en/web/guest/ foreign_policy/news/-/asset_publisher/cKNonkJE02Bw/content/id/59058 [Accessed: 1st June 2017]. Lavrov 04.06.2014 — Speech by the Russian Foreign Minister, Sergey Lavrov, at the meeting with members of the Russian International Affairs Council, Moscow. Available from: http://en.mid.ru/ en/web/guest/foreign_policy/news/-/asset_publisher/cKNonkJE02Bw/content/id/57150 [Accessed: 1st June 2017]. Lavrov 14.06.2014 — Interview by the Russian Foreign Minister Sergey Lavrov, given to the programme “Postscriptum”, Moscow. Available from: http://www.mid.ru/en/vistupleniya_ ministra/-/asset_publisher/MCZ7HQuMdqBY/content/id/56142 [Accessed: 1st June 2017]. Sikorski 08.05.2014 — Address by the Minister of Foreign Affairs on the goals of Polish foreign policy in 2014. Available from: http://www.msz.gov.pl/en/news/address_by_the_minister_of_foreign_ affairs_on_the_goals_of_polish_foreign_policy_in_2014 [Accessed: 1st June 2017]. Sikorski 22.09.2014 — Farewell Address by Minister Sikorski. Available from: http://www.msz.gov.pl/ en/p/msz_en/ministry/polish_diplomacy_archive/former_ministers/remarks_by_radoslaw_sikorski/ farewell_address_by_minister_r__sikorski;jsessionid=DCD3102767D0ACAFBC2710ABC9FA5 B50.cmsap5p [Accessed: 1st June 2017]. Sikorski 23.09.2014 — “We are on the right track” — Minister Radosław Sikorski about his seven years as chief of Poland’s diplomacy Available from: http://www.mfa.gov.pl/en/news/0_we_ are_on_the_right_track____minister_radoslaw_sikorski_about_his_seven_years_as_chief_of_ poland_s_diplomacy [Accessed: 1st June 2017]. Schetyna 06.11.2014 — Report by the Council of Ministers on the goals of Polish foreign policy in 2014—2015. Available from: http://www.msz.gov.pl/en/news/minister_grzegorz_schetyna_ on_polish_foreign_policy_priorities [Accessed: 1st June 2017]. Schetyna 10.12.2014 — Address by Minister Schetyna at the Polish Institute of International Affairs, “NATO in the New Security Environment: Newport, Warsaw and Beyond.” Available from: http://www.msz.gov.pl/en/ministry/polish_diplomacy_archive/former_ministers/remarks_mgs/ address_by_minister_at_the_polish_institute_of_international_affairs;jsessionid=24E9E0891 64F28DF595E725FA63D09BC.cmsap5p [Accessed: 1st June 2017]. Copyright (c) 2018 DUBROVSKAYA T.V., SOWIŃSKA A.